We have apples coming out of our ears here on the farm. Last week we spent a whole day whirling up jars of apple sauce, apple chutney and, most amazing of all, apple ketchup! Yes! You heard right! 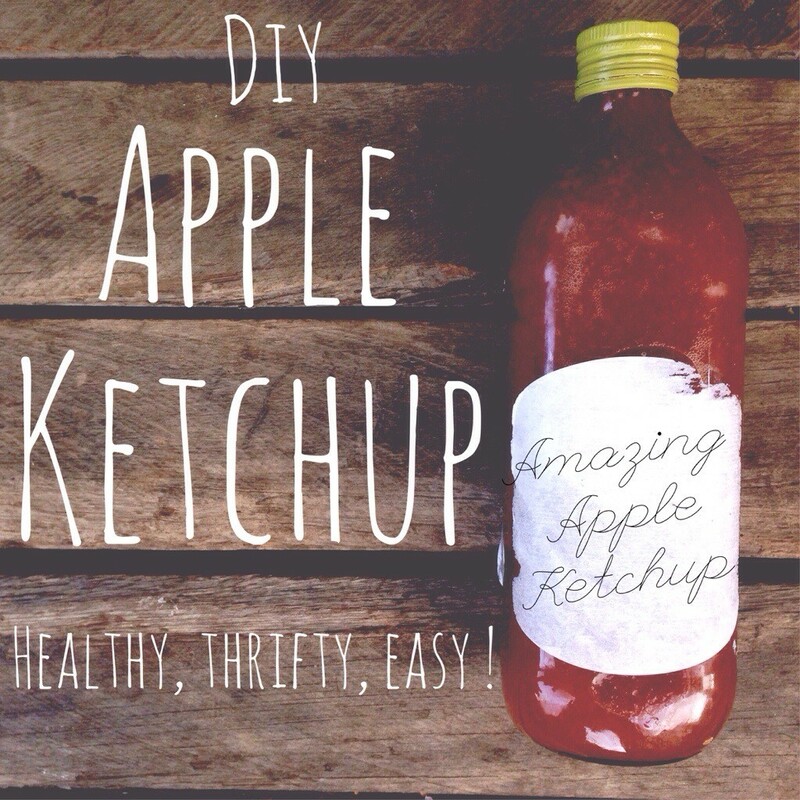 Ketchup from APPLES! If you have children like mine they love to pour ketchup on everything. Making it yourself, with apples, is super healthy, thrifty and EEEAAASY!! Collect apples from neighbour’s home when in season or buy them when they are on special at the shops to make this dead cheap. Chop up the apples, skin, pips and all. Chop the onions. Tie spices in muslin. Throw it all in one massive pot. Bring to the boil, stir to dissolve sugar, simmer, covered for 1 – 1.5 hours until it is well pulped. Push it through a sieve or cheese cloth. Pour into hot clean bottles. Thanks to Digby Law’s kiwi classic, Pickle and chutney cookbook. My favourite bought tomato sauce (ketchup) is Whitlock’s, which is also based on apples. Divine. Thanks for inspiration for making our own! Just curious – is it really red? Just from the apples and spices? How cool! Yep! Browny orangey red- that is truly a bottle!